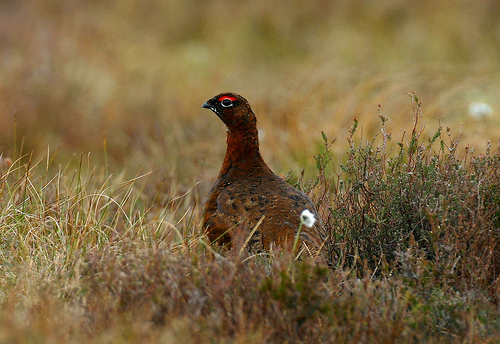 The Red Grouse is the brother of the Willow Ptarmigan. The difference is that it has no white, while the Willow Ptarmigan in wintertime is white. 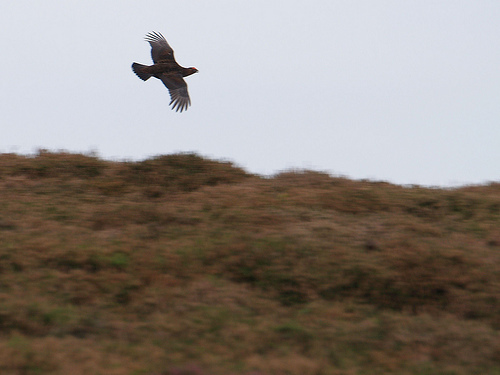 The Red Grouse doesn’t have white on the body, not even in winter.